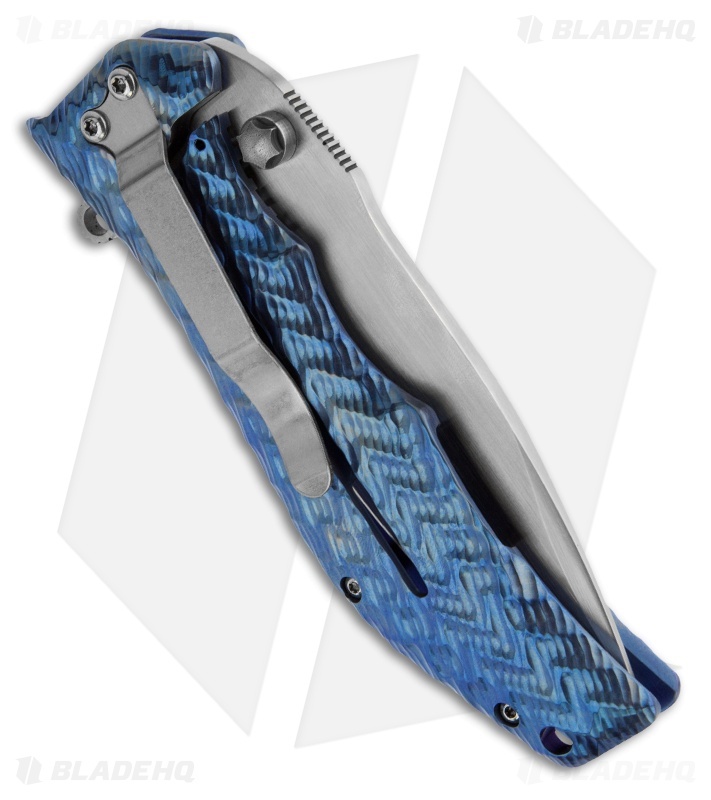 This custom Darrel Ralph Gun Hammer spring assisted opening (SAO) knife features a blue anodized titanium handle with the ergonomic tactical (ETAC) 3D machined grip. 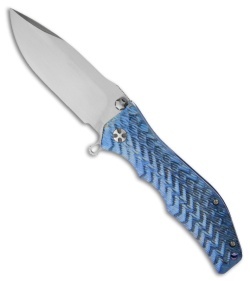 The Bowie style blade is premium S30V steel with a hand satin rubbed finish. The blade is easily deployed using the flipper or thumb studs. Comes with a padded black nylon pouch.